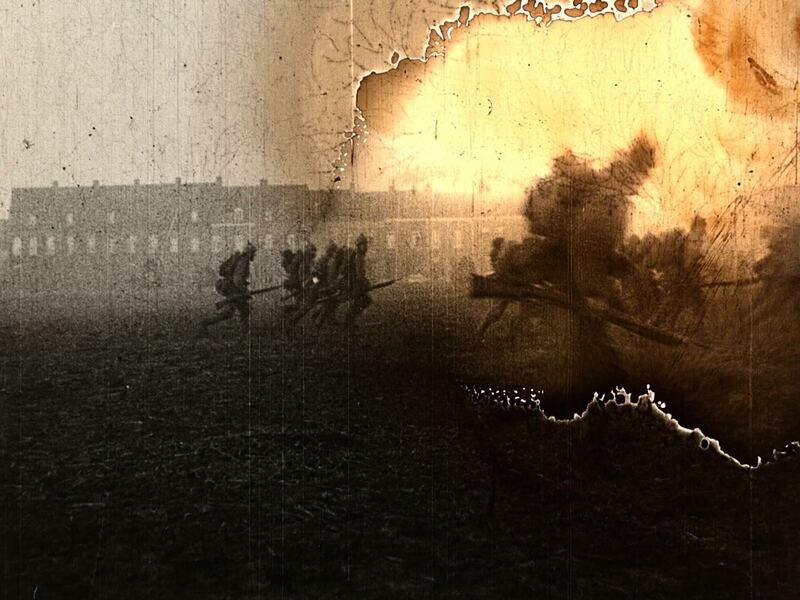 Filmmaker Bill Morrison sourced rotted, melted, scratched-up 35mm nitrate film footage of World War I trainings, deployments and marches and set it to a haunting soundtrack of strings performed by the Kronos Quartet. The original film material is itself a veteran of the war, never to be seen again outside of this film. In the shadow of the Monument, bring a blanket or lawn chair for an otherworldly experience of visuals and sound. Read a statement from the composer and filmmaker here. See the trailer here. Presented by Big Car and Indy Film Fest.